Next mix in a 16-ounce box of powdered sugar. Spread this mixture on top of the cake batter crust and bake 40 to 50 minutes. The cake should still be gooey in the middle. 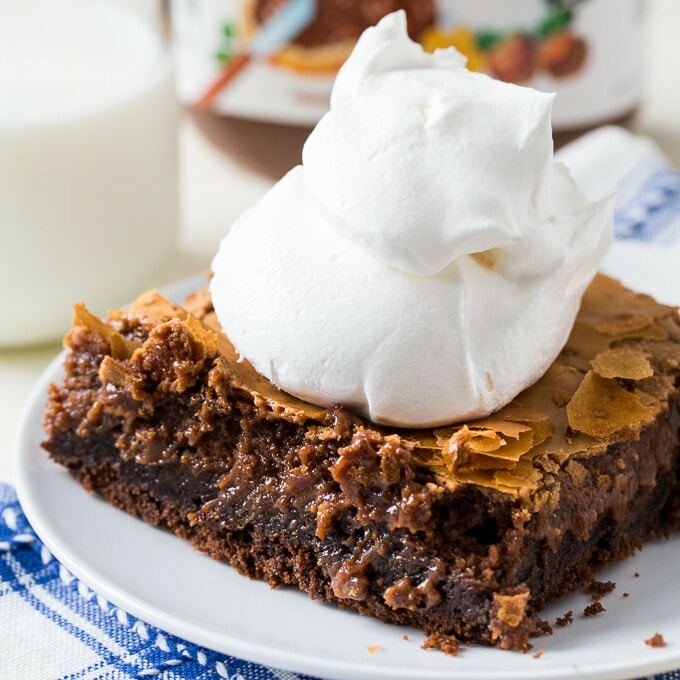 This Nutella Gooey Butter Cake is incredibly decadent with lots of Nutella flavor. One of my favorite desserts ever. I like to serve it warm, but it is also good cold.